Thanos triumphant! 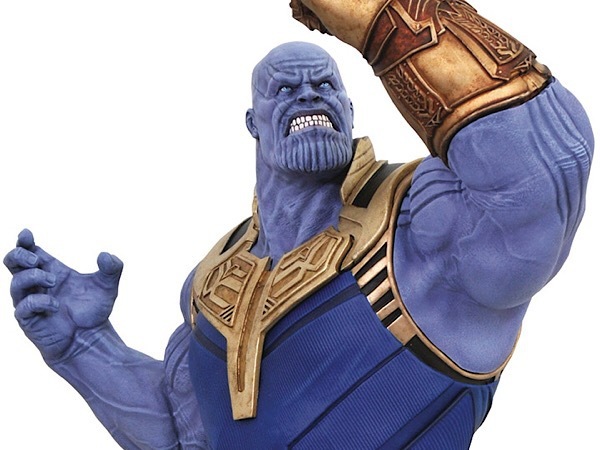 The mad titan has collected all of the Infinity Gems, and raises his gauntlet in victory in this new statue in the Marvel Milestones line! 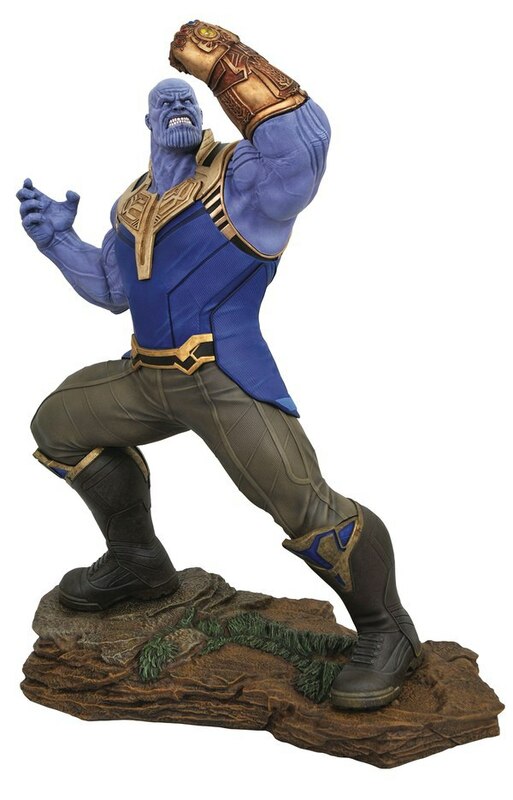 In scale to other Milestones pieces, this 20" sculpture can be displayed with the Infinity War Thor statue or on his own, and is limited to a numbered edition of only 1,000. Snap him up before he snaps his fingers! Packaged with a certificate of authenticity in a full-color box. Designed by Joe Allard and sculpted by Jorge Santos Souza!